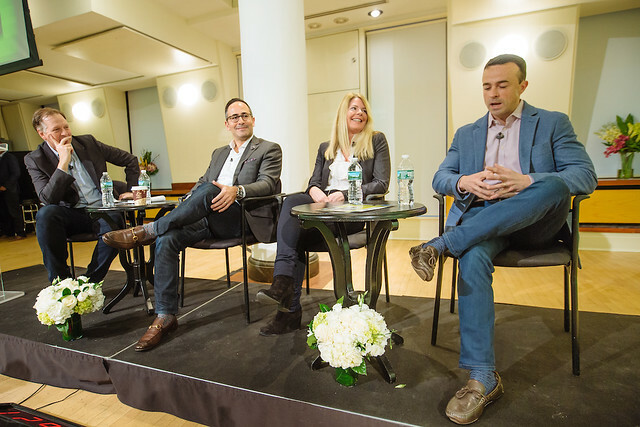 It was a lively conversation on March 6th at the 13th installment of the Club’s popular Verticals Series in partnership with Oath when top brands shared insights on how they connect with passionate fans in the new realm of sports. We focused on the burning question: "From eSports to Live Streaming- how are brands achieving real, scalable success at the intersection of sports and entertainment?" and discussed the technologies and forms of engagement that are providing more opportunities for marketers than ever before. Changes in consumer consumption and audience engagement and the impact on viewing in traditional, linear TV. The rise and implications of eSports and brand safety in this new realm. The role of mobile as a viewing platform. Bridging the gap between developer and advertiser - provide insight on what placements works, what audience engagement looks like etc. Revenue growth from direct payments from live streaming (i.e. world cup/Olympics/eSports) and “in-game” purchasing. For more great content about Sport Tech, see Blog Posts from some of our members here!